Whether a business specializes in vintage costumes or office supplies, every start-up company wonders how to brand their business. Branding goes beyond mere logo creation and marketing to represent what a company stands for and what they mean to the public. Mega-successful brands like Coca Cola, McDonald’s and Apple could probably stop marketing today and still win over the hearts and minds of their consumers. What makes these and other powerful brands stay relevant in the fast-paced feeding frenzy that is modern marketing? And how can your company hope to compete? Read on to learn about effective branding strategies and how they differ from run-of-the-mill marketing ploys. 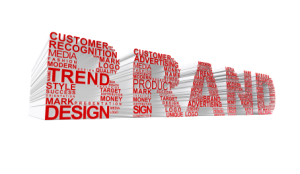 Effective branding begins with and centers on trust. Does your target demographic trust you to deliver on your promises as a business? When we think about major corporations, we tend to associate them with an emotional response. That’s the power of effective branding. For example, Nike encourages its customers to think bigger and accomplish greatness. You can’t please everyone, but you can make a constant and determined effort to deliver on the promises you make. According to John Williams of Entrepreneur, you can’t rely on what you think customers think, you have to know what they think. When you develop a branding logo or mission statement, spend time thinking about what you want to deliver and then do it. Social media dominates the Internet landscape today, and savvy entrepreneurs know how to take full advantage of this powerful branding tool. Comprehensive marketing strategies cost thousands if not millions of dollars to implement for large corporations, but social media campaigns cost pennies by comparison. Optimize your social media presence as well as your mobile presence to engage your audience in real time. Take Facebook as an example. Millions of people worldwide continue to spend hours daily on this social media site. Get an account on Facebook, if for no other reason than that the company can promote itself as a friendly and supportive network. Inject your personality and your mission statement into every aspect of your online presence, and your customer base will respond positively. From your company’s logo to the email newsletter you send out once a month, you have to stay consistent in your marketing materials in order to gain momentum and build your brand. Do you have a blog? If not, consider creating a blog with high-quality content that drives your customer base to rely on you for guidance in your niche. In an article on the Huffington Post Blog, entrepreneur R. Kay Green says that blogging greatly improves your search engine rank, establishes validity in your brand and increases reach. Your audience needs to sense your confidence, and this only happens when you deliver on your promises and stay consistent across all marketing mediums. Successful branding doesn’t happen overnight, but once you secure a place in consumers’ hearts and minds you’ll find marketing to be much more effective. Create a strategy that revolves around your ideals as a company and as an individual. What do you hope to accomplish in life aside from selling your products? If your ideals and goals translate honestly and appropriately into your branding and marketing strategies, then you won’t have any trouble knowing how to brand your business.